Punk trio formed in 1977, initially as Jam clones but soon writing and performing original material. 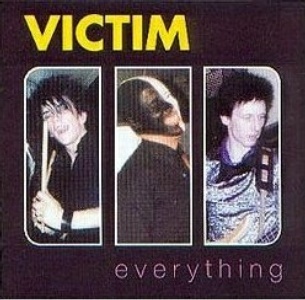 Victim were the first punk band to play the Harp Bar, supported by The Androids. The debut single was the second release on Good Vibrations Records. The original band split in April 1978. Colin Campbell went on to The Zenn. The rhythm section Graham & Beattie then teamed up with ex Androids Aza AKA Andrew Middleton (guitar) and Joe Zero AKA Joe Moody (guitar/vocals) as Emergency who toured that summer. When Andrew left for f-Stop, the band reverted to the Victim name. 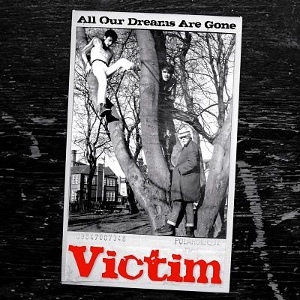 Victim were offered a deal by the Manchester based TJM label who released the second single. 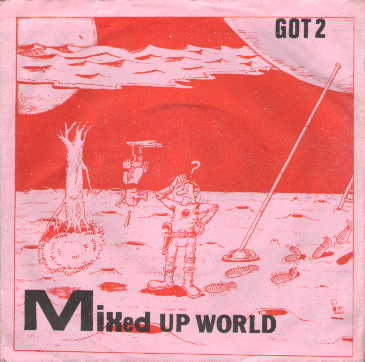 They relocated to Manchester in July and toured the UK with the Damned later that year. Rat Scabies produced the third single which came out on Illuminated Records. 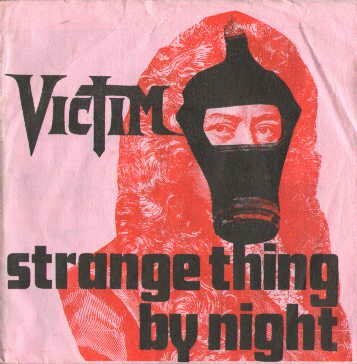 Victim recorded a demo album circa 1980 at Bootleg Studios in Manchester. Bootleg was run by Phil Platt, The lineup was Joe Zero and Wes Graham with Phil Platt (guitar, backing vocals) and Gary Platt (drums). To my knowledge this material has never been released. This lineip also gigged, including a support slot with The Revillos at the Bolton Sports Center which ended in a riot when Fay Fyfe reacted badly to a fan spitting at her and it all kicked off. The venue was trashed and many were injured in the melee that followed. The band then underwent some some lineup changes, suffered some bad luck with unreleased recordings, and were on again/off again affair for a couple of years before finally splitting in 1986. For a detailed history, check out this excellent website [mysite.wanadoo-members.co.uk/Victim/ has moved to ???]. Ken Matthews is the younger brother of Ronnie Matthews of Rudi with whom Victim toured the UK in 1982. 1977-78: Colin Campbell (lead guitar), Ken Matthews (rhythm guitar), Wes Graham (bass), Jeff Beattie (drums). 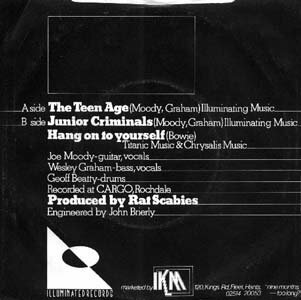 As Emergency (1978): Wes Graham & Jeff Beattie joined by ex Androids Joe Zero AKA Joe Moody (guitar/vocals) and Aza AKA Andrew Middleton (guitar). Aza AKA Andrew Middleton left for f-Stop and later Colenso Parade. 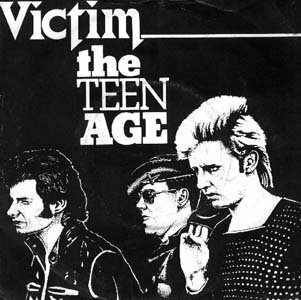 As Victim again (1978-86) with Joe Moody (lead guitar), Wes Graham & Jeff Beattie. Joined by Dave Johnson (keyboards 1978), Hugh O'Boyle (rhythm guitar 1979-80). Jeff Beattie left for Colenso Parade and was replaced by Mick Joyce (drummer 1981-83) who later found fame with The Smiths. A live performance of The Jam's "In The City" recorded at The Pound in early 1978 was included in the UTV punk documentary "It Makes You Want To Spit". The lineup for this performance was Colin Campbell, Wes Graham and Jeff Beattie. 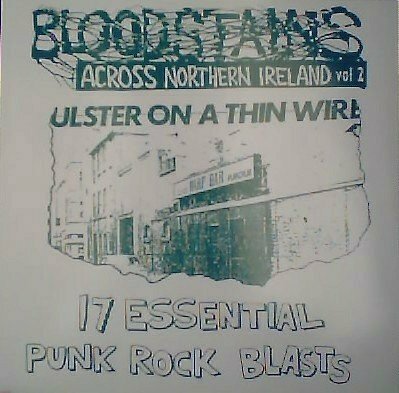 A live performance of "Trademark World" recorded at Queen's University Belfast on 23 November 1978 was used in the film "Shellshock Rock" (which is crying out for DVD release!) The lineup for this performance was Joe Zero/Moody, Dave Johnson, Wes Graham and Jeff Beattie. • Why Are Fire Engines Red / I Need You? Notes: All 12 tracks are available on the Everything CD. 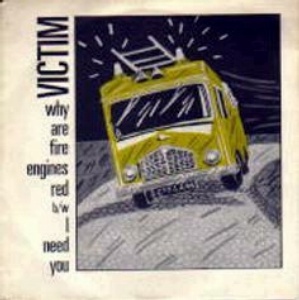 "Why Are Fire Engines Red" is listed on the cover and the label but is not present on the record. Why wasn't this spotted at the test pressing stage? A shoddy piece of work.